Pickering Town Centre... You Are Growing Up! The retail experience at Pickering Town Centre is another example of Pickering continuing to grow as a community offering more in terms of amenities to its residents. 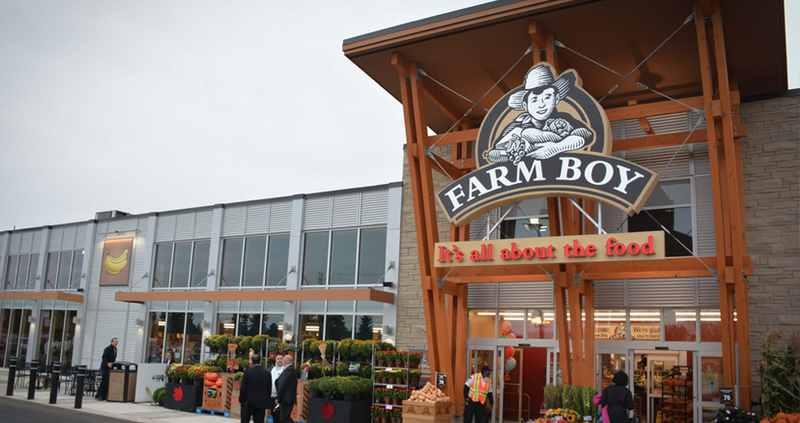 Farm Boy fresh market has been loyal to patrons in other Ontario cities and graced Pickering with its presence late last year. Their in-house chefs make fresh and from scratch wholesome dishes and their products are fresh and locally sourced. Everything is tasty, healthy, and affordable. Part of the Hudson's Bay Company brand portfolio, Saks Off Fifth offers in-season and on-trend apparel from more than 800 designers. Ladies, mens, kids apparel, work out gear and accessories for the whole family. This Saks is the only location in the East GTA. The best part... products are at a stellar 60% off price point from the original. This new state-of-the-art theatre will boast over 46,000 square feet and feature 12 screens. Four of these screens will be VIP adults only auditoriums where you can have the luxury of cushy seating, in-seat ordering services, an expanded food and beverage selection and the chance to order alcohol - wine, craft beer and spirits! In 2012, Metrolinx took on the venture of constructing a walkway above 14 lanes of Highway 401 which would link the GO station south of Hwy 401 to downtown Pickering north of the highway. Its design is definitely noteworthy - the structure is wrapped in metallic, mesh-like exterior and LED lighting will illuminate it when darkness falls. Its construction will be wrapping up soon. Since opening in 1971, Pickle Barrel has expanded their franchise all over the GTA. Pickering Town Centre is its latest restaurant to open. Known for having an extensive menu of over 300 items, incredible value and quality of food, we can’t wait for them to open their doors! Alicia Wren's tenure in the Real Estate industry spans over 12 years. Constant contributor to Connexusgroup.ca with a Bachelor Degree in English. Alicia regularly contributes to eastGTAliving, downtownTOliving and #theconnexusadvantage.